Japan's public safety is one of the best in the world with extremely low risk regarding race, religion, political instability while there is little threat of terrorism and dispute. "Gifu Prefecture", where our data center is located, has low crime rate and good public safety, in comparison to highly populated Tokyo or Osaka. A Nation of "Omotenashi", "Earnesty" and "Diligence"
It is said that most Japanese has spirit of "Omotenashi (hospitality)", and are "earnest" and "diligent". They dislike causing trouble to others and act with consideration to the customers. The data center where company's confidential data is handled, it is essential that operators be "earnest" and "diligent". "Gifu prefecture", where our data center is located, has the fourth largest population of foreigners, following Tokyo, Aichi, and Osaka. The Chinese ratio is the second largest nationwide. There are many opportunities for foreigners to play active role in the enclosed Japanese society. Japan has frequent earthquakes and is called a nation of disasters. For this reason, Japan boasts of world's top-level disaster management technologies, and has a variety of measures in place in order to resume businesses even when a disaster occurs. Japan has extremely low incidence of power outage compared with the United States and Europe, and fiber optic communication infrastructure is developed. Our data center is equipped with a large UPS and emergency generators, and serves as a communication infrastructure hub that connects Osaka and Tokyo. Japanese users do not exist only in Tokyo. About 90 percent of the population lives outside of Tokyo. There are many users in west Japan such as Osaka and Aichi. Gifu Prefecture, where MiraiNet Datacenter is located, is in the center of Japan and is optimum for covering users nationwide. Famous sites of Japan are nearby. For example, it takes 40 minutes to Kyoto by train and 100 minutes to Mt. Fuji. Japanese users strongly desire the accessed server be located in Japan. This is due to the delay caused by using submarine cable and with a vague anxiety about country risk in foreign nations. Especially, the gaming industry in which delay is a critical issue, and in business fields handling confidential information places importance of locating a server inside Japan. *Sufficient research has not been conducted but probably it is the world's first. Ogaki city of Gifu is known as the "City of Water" since ancient times with an abundance of underground water at a stable temperature throughout the year. This cold groundwater is utilized for air conditioning in the server room at MiraiNet Datacenter Park, introducing a system for reducing electric power consumption. Warmed groundwater is then utilized for the footbath, "KURAUDO NO YU", in the refreshing room for engineers' refreshment. 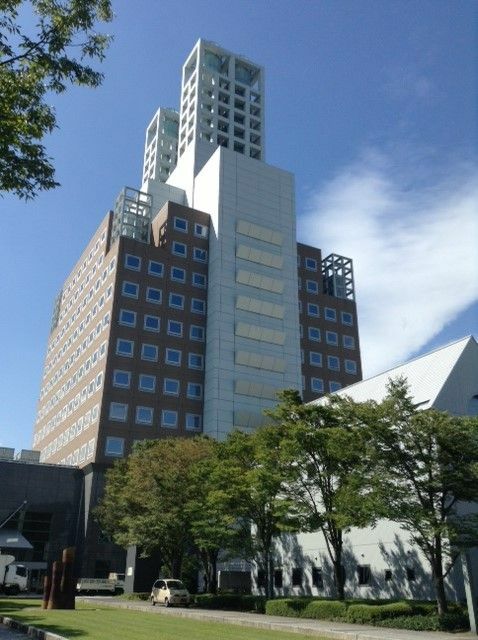 Office function is an important factor for companies when selecting a data center in Japan for placing engineers. Data centers in a suburban area have no offices in the neighborhood, and office rent is expensive near data centers in a large city. 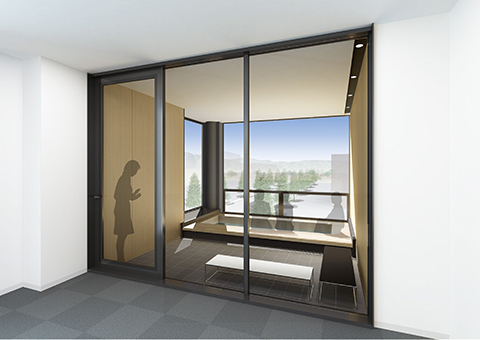 Our data center is adjacent to "Softpia Japan", the IT hub and direct fiber-optic connection to each room is possible. It is an ideal location for establishing an office using a Japanese data center at a reasonable rent compared to large cities. Furthermore, human resources and companies for operation and maintenance are concentrated in the IT hub, and the communication infrastructure is established as a hub for connecting large cities in the east and west. This is not a small server room, but is an exclusive space for kitting that facilitates smooth assembly to racks. Work space for non-engineers to use laptops, etc. Power supply and Internet available. Lockers for temporarily storing customer's private belongings and media. 24 hours a day entry / exit system. Monitors entry / exit of equipment maintenance staff as well. Disposal service available for packing material such as cardboards, plastics and styrene foam. Dedicated partition in the server room can be provided by using cage (optional). Basic work will be carried out by our staff before customer's arrival. Power supply on/off, visual check, cable insertion and removal, etc. Presentation room for end users. A tour route is available for end users to tour the DC. Guidance available. *Some specifications are under planning as of March 19, 2014. The first floor is 0.6m above the flood level indicated in the hazard map issued by the Ministry of Land, Infrastructure and Transport. Copyright ©2015 ミライコミュニケーションネットワーク All Rights Reserved.